Rome has a great history. It is one of the best cities to visit for tourists and those who are into studying the past. The Rome Empire may be long gone, but thanks to ROME Virtual History, you can get a better sense of what Rome was all about years ago. 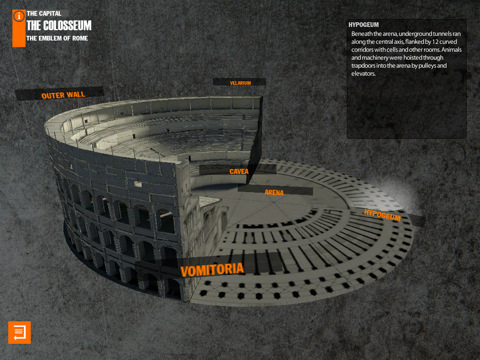 ROME Virtual History provides you with background information and details on Roman civilization in a breathtaking format. ROME Virtual History provides you with aerial views of metropolis as it looked liked thousands of years ago. It also covers top monuments from those days. The digital reconstruction of these monuments is quite breathtaking. Add all the information and images that you get in this app, and you’ve got one amazing app on everything Rome. 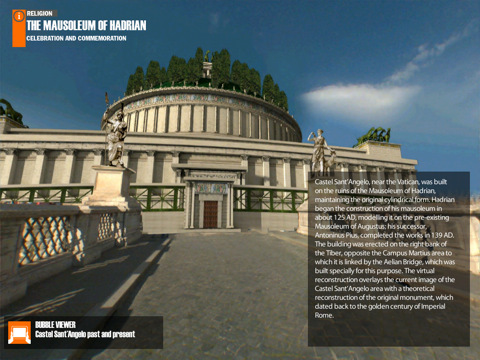 ROME Virtual History has one of the most impressive interfaces that we have seen. It has 3D models and everything you need to explore Rome to your heart’s desire. It’s like a time machine that takes you back in time to those fun old times. All in all, a very well done effort by the developers.